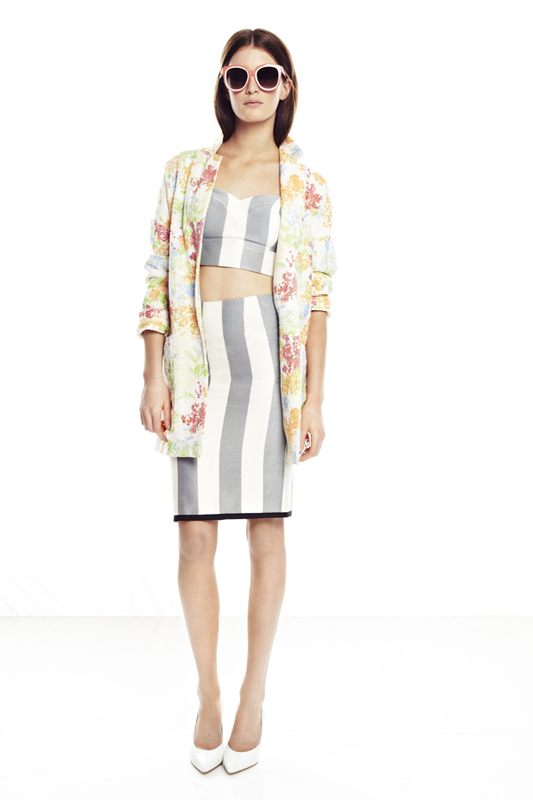 River Island released a Spring/Summer 2013 lookbook full of trendy affordable treats. From cute summer dresses to playful denim and omnipresent stripes the brand’s Spring/Summer 2013 collection is as attentive as ever aiming at trendy fashionistas looking for affordable fashion-forward looks. The brand took major Spring 2013 trends from the runways, which of course, includes the stripes, both in monochrome and neutral and pastel colors they appear in dresses, tops, and skirts. 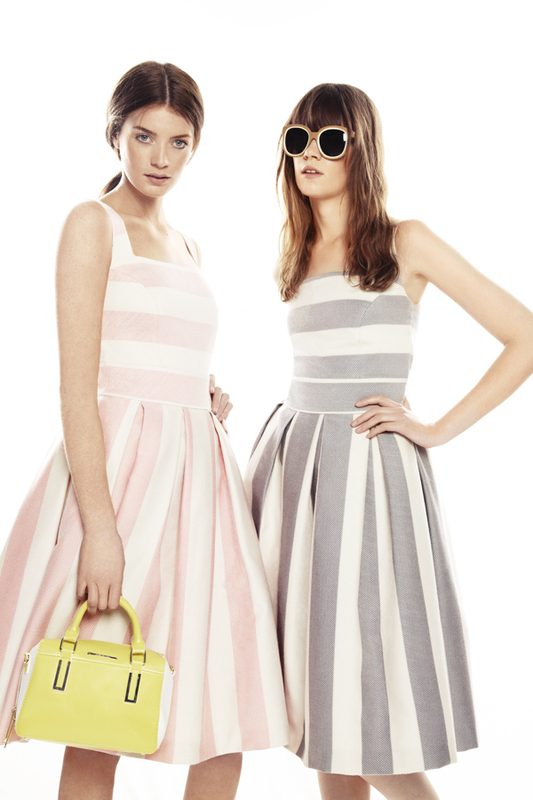 The brand offers summer full skirt dresses in wide gray and pale pink, vertical and horizontal stripes, a leather shift dress in wide monochrome stripes and various tops with different kinds of stripes. But the collection also includes polka dots, ocassional florals and a diamond print. There is a white number in gray diamond print with floral motifs resembling the Balmain’s Spring 2013 collection. And there are, of course, floral pieces that include printed jackets and blazers, a bohemian dress, and a khaki jumpsuit with floral accents. Other stand out pieces from the collection include a cutout off white crochet dress which is a perfect beachwear item, a white embroidered cocktail dress with beads and fringe details, decorated boyfriend jeans with rips and holes, and a striped crop top pencil skirt ensemble cleverly paired with a bright floral jacket. In terms of footwear the brand took a lot from 3.1 Phillip Lim’s men’s style shoes and the strapy boot trend as seen at Altuzzara, Acne and Alexander Wang. The black and white men’s style strapy flats are paired with pants and skirts alike in the lookbook. There are also casual sneakers, flat sandals, open ankle boots, and white pointed pumps. Other accessories also include statement jewelry, white and two-tone framed specs a la Marni and some bright and studded handbags. 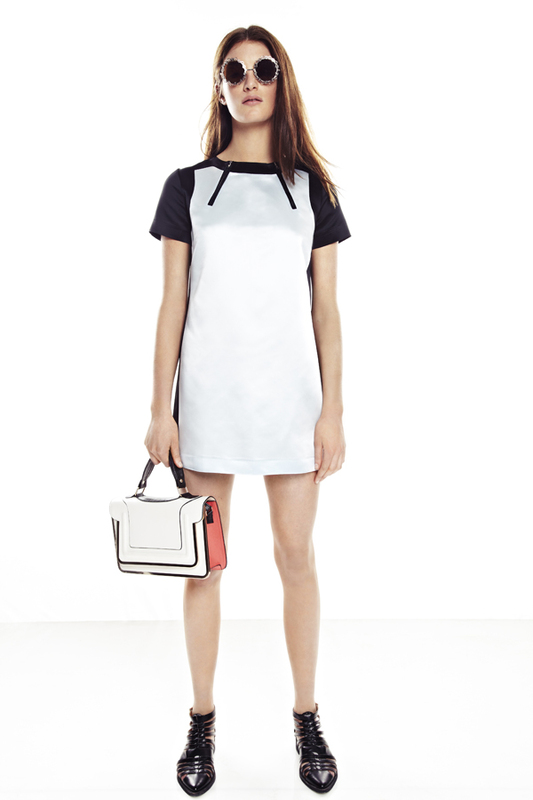 What do you think about River Island’s Spring/Summer 2013 collection?